Thousands of motorcyclists are struck by negligent motorists every year, often leaving victims with catastrophic injuries, astronomical medical bills and many months of pain and suffering. According to recent statistics, motorcycle accident-related injuries, on average, can rack up hospital bills totaling more than $46,000. In a typical motorcycle-vehicle accident in Louisiana, both parties would be expected to exchange insurance information. However, what happens if you were hit by an automobile driver who doesn’t have any insurance? In the event of an uninsured motorist motorcycle accident, who will be responsible for damage to your bike or personal injury? Motorcyclists that have Uninsured Motorist (UM) coverage are able to seek appropriate money damages through their own insurance company. In a serious injury claim arising from such an accident, uninsured motorist coverage can play a pivotal role in providing much-needed compensation for the victim. If your UM accident claim is denied, or you need legal assistance suing a negligent driver, Louisiana motorcycle accident lawyer Bart Bernard can help you take appropriate steps to ensure a successful recovery. People who drive passenger cars and trucks bear a disproportionate share of responsibility for the large numbers of motorcycle accidents that occur on Louisiana roads. The majority of severe and fatal motorcycle crashes involve four-wheeled vehicles operated by drivers who simply do not register a biker’s presence. According to the Hurt Report, one of the largest and most comprehensive studies on motorcycle accidents in the U.S., more than 75 percent of all motorcycle accidents involved a collision with a passenger automobile. In Louisiana, motorists are expected to have liability insurance on their vehicles that would cover property damage and economic losses in the event of a crash. The state mandates that each vehicle carry minimum liability coverage of $15,000 per person, $25,000 for property damage and at least $30,000 per accident. In reality, many people ignore this law and ply the roads without adequate insurance. To address the growing number of uninsured drivers, all motorists in Louisiana must purchase uninsured motorist (UM) coverage, unless they expressly reject it in writing. When you purchase liability insurance on your motorcycle or vehicle, you are always given the opportunity to get UM coverage that would take the place of the liability policy the at-fault driver failed to carry. Considering that an estimated 13 percent of all Louisiana drivers do not have any insurance on their vehicles, purchasing UM coverage is a wise move. Another important feature of an uninsured motorist clause is the protection it provides in a hit-and-run incident, where one driver flees the accident scene. In such cases, uninsured motorist insurance would kick in, compensating for medical bills, lost income, and other losses sustained in the accident. What happens if an uninsured driver causes a motorcycle accident? Even the most experienced of motorcyclists are ill-prepared for the dangerous actions of motorists who are distracted by their cell phones, talking to passengers, or driving while drowsy or drunk. Regardless of how defensively and cautiously you drive, collisions can and do happen every day. If you are in a motorcycle accident caused by an uninsured driver and you have UM coverage, the policy will cover you and any passengers at the time of the accident. You can also file a UM claim in accidents where you were injured by a driver who is underinsured. Louisiana Uninsured/Underinsured motorist (UM) coverage provides compensation for past and future medical and hospital bills, pain and suffering, and lost income related to the accident. For those who purchase “economic only” coverage, UM will pay for crash-related medical expenses and lost wages, but does not cover “general damages” like pain and suffering. After any kind of uninsured motorist motorcycle accident, you are well-advised to have your attorney review UM language in your insurance policy before filing a claim. Insurance carriers may attempt to deny or undercut the value of your claim without a strong legal advocate in your corner. Keep in mind that Louisiana allows two years from the date of the motorcycle accident to settle a UM claim, or take legal action against your insurance carrier. If you were harmed in a motorcycle accident caused by an uninsured or underinsured driver, it is important to contact a skilled personal injury lawyer who has years of experience securing maximum settlements with insurance companies. 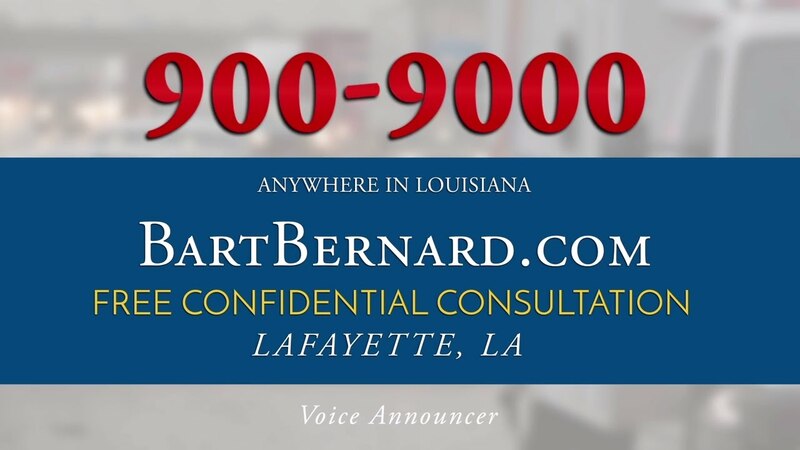 Motorcycle accident attorney Bart Bernard is proud to offer high-caliber legal representation to residents throughout Lafayette and Baton Rouge, Louisiana. To learn more about your legal rights, schedule a free case evaluation by calling today.